Next week will be decisive for Macedonia's fate because then the European Commission will publish its extraordinary progress report for the country - a report that was requested by the leaders of the EU member states at their December EU summit. 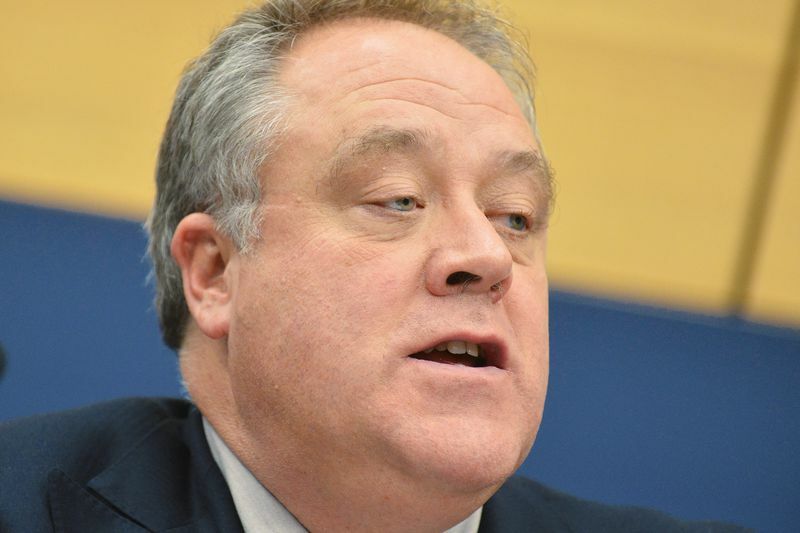 Also next week, the European Parliament is scheduled to debate on the draft resolution by British MEP Richard Howitt (S&D), who is a rapporteur on Macedonia. 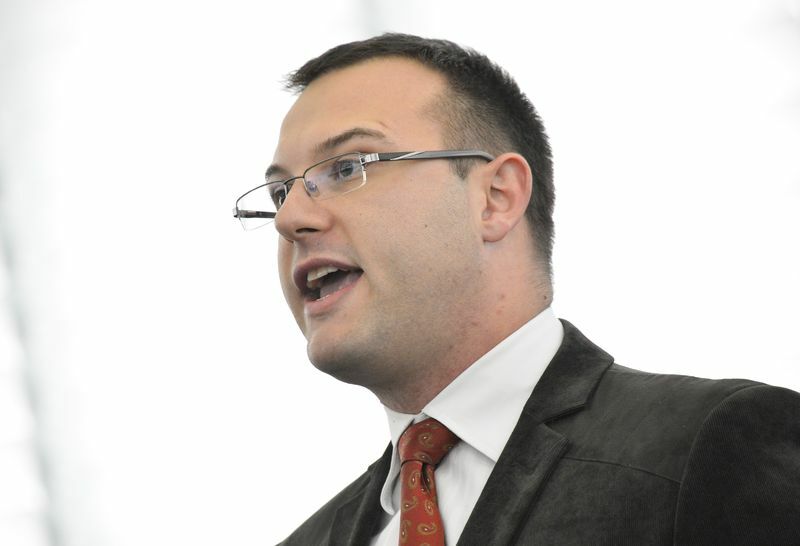 His draft resolution has been approved by the foreign affairs committee in the Europarliament on Monday (April 8th) with 39 votes "for" vs. 13 "against" and no abstentions, under the chairmanship of Bulgarian MEP Andrey Kovatchev (EPP), who is one of the critics of the Macedonian nationalistic policies. However, the entire discourse around the former Yugoslav republic puts to a tough test on the one hand Brussels's nerves and patience and on the other - the maturity and awareness of Macedonia's neighbouring countries about what national interest is, but most of all Macedonia's maturity and awareness. The country is more and more engulfing itself in a black pit about which even Stefan Fule himself, the Czech EU enlargement commissioner who is famous with his optimism and seeking of sometimes very innovative solutions to severe problems, expressed doubts that it is possible the country to be able to go out. After leaving Macedonia two months ago because of the political crisis in the country and the complete lack of a desire for a reasonable dialogue between the ruling party and the opposition, Mr Fule returned to the Macedonian capital on April 9th. There, he had a speech before the National European Integration Council, starting with the words: "If you wonder whether it is a good sign that I am here already for the third time this year expressing our commitment to your country, you might be right. But if you wonder whether it is not a troubling sign of something not being good, you would also be right". According to Macedonian media, however, until it came to that speech there were some confusions and even scandals. Quoted by Utrinski Vesnik, Stefan Fule says that he went to Skopje not to learn whether someone was prevented from attending, but to check how prepared Macedonia is to start accession negotiations. He reminds the Macedonians that it was not him who chose the date for another round of the special high level dialogue right after the local elections (which ended on Sunday). Help us to help you, was Fule's message, highlighted by the newspaper. Against the backdrop of the totally different perception of normality here in the Balkans and especially in Skopje, Stefan Fule tried to maintain the Brusselian-like vision about normality and in his speech he practically presented part of the conclusions which we will probably read next week in the Commission report, although he explicitly said the text was not written yet. The high level dialogue, known as HLAD, focuses on five areas of reforms in the country: free expression and media, rule of law and fundamental rights, reform of the public administration, electoral reform and enhancing market economy. Precisely these five areas will be analysed in the report. The enlargement commissioner heavily criticised the freedom of expression, saying it was a "big shame" that the created new impetus in the Media Dialogue between the government and journalists in the past year is overshadowed by the latest developments in the country. It is important, Fule pointed out, the government to resume the dialogue with journalists and they, for their part, to actively participate in the important reform of their work. "This issue is extremely important and it should be a duty of everyone, particularly in young democracies, to defend freedom of expression because the level of freedom of expression sometimes becomes the only true mirror of the democracy in a transformation country", Stefan Fule said and let's hope these words will echo in neighbouring Bulgaria which, although a EU member for 6 years already, has demonstrated similar or even the same problems with the taking away of media freedom. On the other issue related to media, Mr Fule underlined that it was of great importance the significance of decriminalisation of defamation from last autumn not to be underestimated and efforts to focus on whether national courts apply the new legislation according to the European standards. Regarding rule of law, there is progress in improving the efficiency of the judiciary. Underscored is the importance of the Judicial Academy in training future judges and prosecutors through the latest changes and information campaigns. In the area of corruption prevention, the enlargement commissioner notes the introduction of systemic verification which has led to more effective identification and solving of potential conflicts of interest. The Commission is following "with interest", as Fule explained, the reform of the public administration and especially the continued efforts to create a new framework for civil and public service, as well as of common administrative procedures. But the commissioner underscored that the Commission very much insists on the principle of transparency, merit based career development and equitable representation. The Commission will very closely monitor also how will work continue on decentralisation and therefore regional development. Progress is noted also with regard to the preparedness a special committee to be established to investigate the events on December 24th when the governing party kicked out members of the opposition and journalists by force and right after that the 2013 budget of Macedonia was voted. And if the eurocommissioner sounded exactly how a mentor should sound who is trying to encourage a society and a state in transition to start implementing their commitments, which is in the Brussels way, the situation in the European Parliament was not exactly the same. 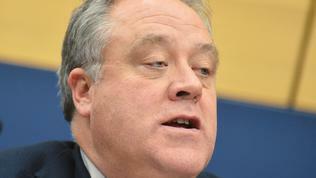 The rapporteur on Macedonia, Richard Howitt from Britain, also tried his utmost the mentor tone to be maintained with the aim to boost the Macedonian strife for European integration, but it clashed during the process of tabling amendment proposals, with the Balkan lack of clarity of the demands. The Macedonian report can boast with an impressive number of amendment proposals - 203, although this is half the number of proposed amendments to the report on Turkey, but Turkey is a very different story. (Or is it?). Reading the document with the 203 proposed amendments clearly outlines the dividing line between the MEPs from the western member states whose main aim was through the amendments to inspire a desire for reforms with the Macedonian politicians, voters and civil society representatives, and MEPs from the Balkan countries whose aims hesitated between protecting "national" interests or simply demonstrating that Macedonia is not ready and that's it. 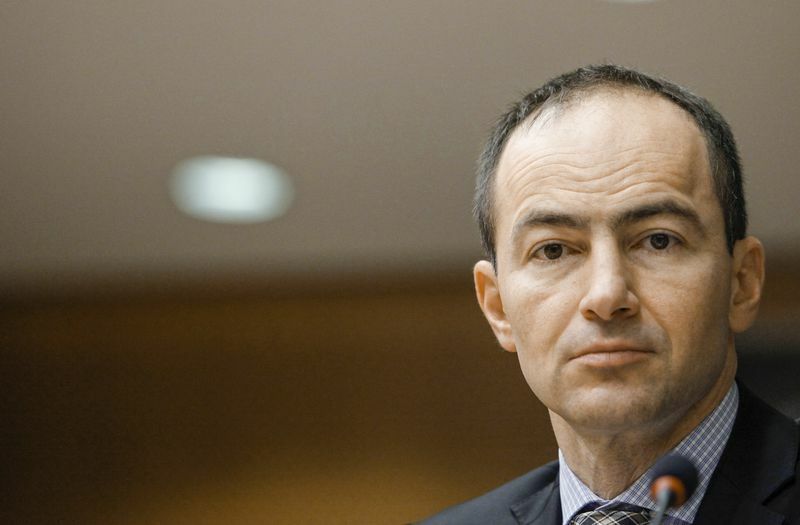 Among the most active in proposing amendments was Bulgarian MEP Dimitar Stoyanov, a former deputy from the nationalist party Ataka and in the European Parliament he is non-attached, but also very active were Andrey Kovatchev (EPP) and Evgeni Kirilov (S&D). For example, Marije Cornelissen, on behalf of the group of Greens and the European Free Alliance proposed in the very beginning of the draft resolution a new text to be inserted pointing out that in view of the European Council decision a fourth time in a row to reject the opening of accession talks with Macedonia in spite of the positive Commission recommendation and given the danger additional delay to deteriorate further the already growing frustration of the Macedonian public opinion as well as to enhance the domestic problems and tension, bilateral issues not to be an obstacle for the beginning of negotiations. 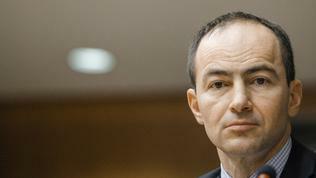 MEP Dimitar Stoyanov, however, proposes all soft wording to be removed and instead to focus on the fact that the people who openly claim their Bulgarian identity are subject of intolerance and persecution; that there were outbursts of violence in Parliament in the end of December when the opposition MPs were beaten and forced out; that the opppsition Social Democratic Party of Macedonia also has a behaviour which is outside the European standards of tolerance. Mr Stoyanov insists the draft resolution to explicitly say that municipal councillors from that party shouted in Skopje "dirty Bulgarians" in connection with the renaming of streets. He very much insisted on mentioning the case of Spaska Mitrova in terms of rule of law and the reform of the judiciary whose divorce trial was biased, in his words, to the benefit of her husband, a Serb. Dimitar Stoyanov also proposes instead of a call to the Council to set a date for the beginning of accession talks without any further delay, to be enshrined that in terms of political criteria the situation in Macedonia is deteriorating. Other MEPs, however, among which Nikolaos Salavrakos (Europe of Freedom and Democracy, Greece), propose that call to be entirely deleted. And Evgeni Kirilov proposes the date to be set only on the basis of real progress in key areas outlined in the Council conclusions. Regarding the text in which confidence is stated that the decision of the European Council to unanimously accept a time-limited decision in June on the basis of the Commission report is a step in the right direction. This text also encourages the diplomatic exchanges between Athens, Sofia and Skopje to continue. The three countries are called to demonstrate "appropriate" commitment to "neighbourly relations" on the basis of mutual respect and friendship and the Presidency is called to hold intensive diplomacy to ensure satisfactory outcome. In his proposal for amendment, liberal MEP Stanimir Ilchev explicitly wants to be pointed out that neighbourly relations should be based on mutual respect for history and culture of neighbouring countries. But Kristian Vigenin (S&D, Bulgaria) believes that it should be especially pointed out that there are huge risks for the country if the status quo is maintained. In the same spirit is the proposal of MEPs Monica Luisa Macovei (EPP, Romania), Cristian Dan Preda (EPP, Romania) and Charles Tannock (European Conservatives and Reformists, UK) who want pressure to be exerted on the Council to decide even before end-June 2013 on the beginning of negotiations. The three MEPs insist bilateral issues not to be an obstacle for the negotiations process with the EU. In Richard Howitt's draft it is written that the EP believes that the beginning of negotiations could be viewed as in itself a "game-changer" and that it will additionally boost reforms and better relations with the neighbours. A text which Dimitar Stoyanov wants to be removed. Regarding the big dispute about Macedonia's name, the draft resolution sparked a lot of controversy in the foreign affairs committee because the adjective "Macedonian" was used several times. According to the rapporteur Howitt, however, this is not in violation of the UN decision, according to which Macedonia should be referred to as Former Yugoslav Republic of Macedonia (FYROM), because "Macedonian" can be used to mark language or culture. Controversy sparked also the approach for solving the name dispute. In the autumn of last year Commissioner Fule proposed to the member states' leaders a new approach to be adopted and they to agree to set a date for negotiations under the condition that an intensive dialogue for the name issue is launched, which can happen also in the framework of the accession talks. Something which the leaders rejected. In the draft resolution regret is expressed that the name issue continues to hamper the country's path toward EU membership. In their proposal for amendment, MEPs Cristian Dan Preda and Eduard Kukan (EPP, Slovakia) propose to be written that the Commissioner's proposal to launch a trilateral meeting between Macedonia, Greece and the EU is welcome because it would boost the negotiations under the auspices of the UN with the special representative. This idea is very good because it is an opportunity to exit the vicious circle where Greece continues to benefit from its right to veto the accession negotiations with Macedonia and is not in a hurry to solve the name dispute under the UN. The idea for a trilateral dialogue would force Greece to be more active in seeking a solution. Bulgarian MEP Stanimir Ilchev proposes the search of a solution to be joined by the neighbouring countries "to help Greece and the country to find a solution to the name crisis via sharing knowledge over the common history and culture within the region". In that sense, also a very good idea is the proposal in the draft resolution the Commission and the Council to start developing in line with the EU treaties a special joint arbitration mechanism for solving bilateral issues between the enlargement countries and the EU member states. Such a mechanism would be very useful, especially in view of the problem that the dispute between Slovenia and Croatia created months before Zagreb's accession to the EU, scheduled for July 1st. In their proposal for amendment, however, Mr Kovatchev and Mr Ilchev want this mechanism to be rather consultative - "to monitor and assist solving bilateral issues". The proposals for amendments are indeed a lot and are mainly in the area of politically correct formulations for the affected countries (Bulgaria and Greece). There are also proposals aimed at the other messages related to the reforms which Macedonia has to implement in the political and economic sphere, but in general they are overshadowed by the "neighbourly relations". The key achievement of the resolution, however, is that it calls on Commissioner Fule to include in his report next week a cost assessment of Macedonia not beginning accession negotiations. If such an assessment is to be presented, it will surely change, if nothing else, at least the attitude to the very beginning of talks because talks do not mean membership. This is a long path during which any demands can be put forward related to the ripening of the Macedonian political class and its getting closer to the European standards. However, quite unreliably sound the calls now, especially from countries which instead of getting closer or even levelling with the European standards, actually score regress as in economic so in political terms. Greece is the country which pushed to the fringe the entire global financial and economic system and created a risk of a break-up of the eurozone - the biggest pride of the European integration. And Bulgaria, a sixth year in a row sojourns in the EU with a Control and Verification Mechanism in the area of judiciary because of the lack of any progress in the fight against organised crime and corruption. 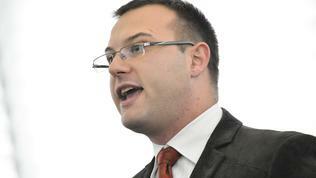 And precisely because of this failure of Bulgaria, the country cannot succeed a third year in a row to join Schengen. The resolution on Macedonia is to be debated in the plenary on April 17th, next Wednesday. Macedonia survived the times of the Roman occupation, then survived another 5-6 foreign invasions and occupations. The point is - no matter what they try - Macedonia is the cradle of European civilization and it cannot be discharged. So it looks like from occupation to occupation to 1991. Seriously why do Balkan nations continously call themselves the &apos;cradle of European civilisation&apos; or something like that. Serbia is the worst of them, Macedonians and Greeks are always on about it and a lot of Albanian&apos;s go on about being the &apos;first&apos; or &apos;purest&apos; Europeans blah blah. FYROM are Bulgarians/Slavs and speak Bulgarian. Ancient Macedonians have always claimed to be Greek and spoke Greek. All Slavs arrived into Europe 1000 years after the death of Alexander The Great. Research and you will find the truth. FYROM are all propaganda and have no truth to back its cliams. Greece has every right to protect its culture and history.